25 JULY 2018. 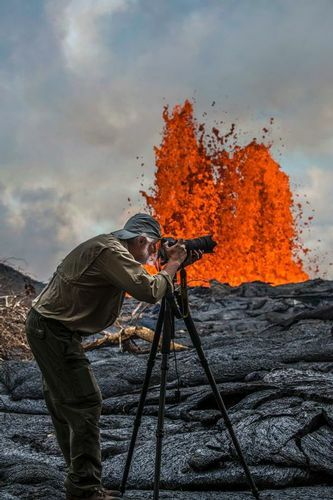 It is only fitting that photographer G Brad Lewis aka "Volcanoman" lives in Volcano on the Big Island. 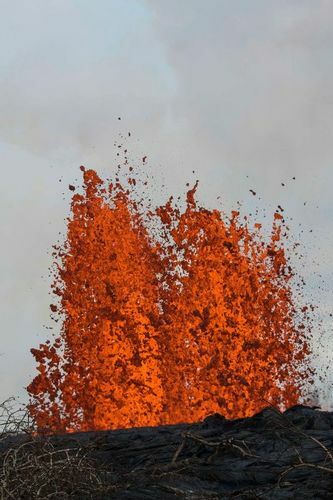 He specifically chose the area flanking the summit to be close to the action, and that's especially true amid ongoing eruptions in lower Puna. Lewis jokes about now feeling the 700 earthquakes a day, but is thankful to feel Pele's pulse. 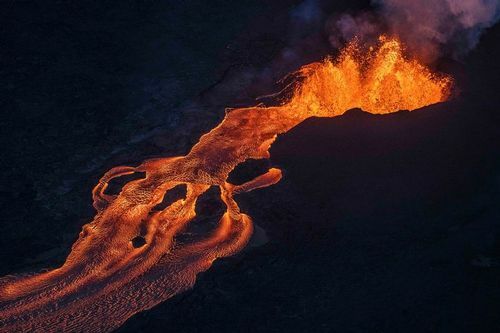 He earned the title of "Volcanoman" after a conversation with David Muench, a renowned landscape and nature photographer. Muench went to Lewis in hopes of including his work in a book. He bought the domain name after he hung up the phone call. He takes his work capturing Kilauea seriously. He's done so since the 1980s. 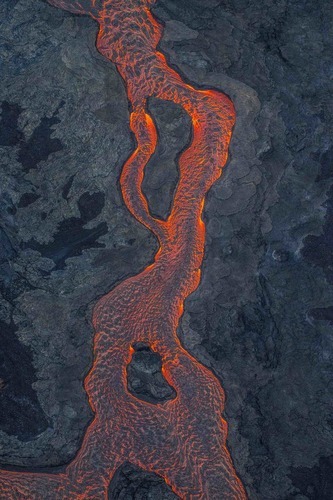 He followed and photographed the flow of Puu Oo until it all but stopped before the recent eruptions. 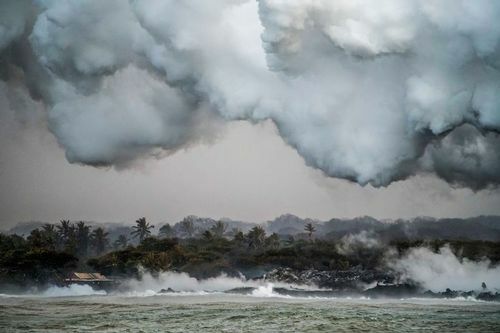 But when Kilauea started affecting Puna neighborhoods in May, Lewis' photography meant something different to him. He said that now, the volcanic events had the human element. In addition to Hawaii, Lewis spends time in Utah and Alaska, making a living as a photographer of the natural world. A two-week vacation in 1982 on Hawaii Island turned into a lifelong love affair. 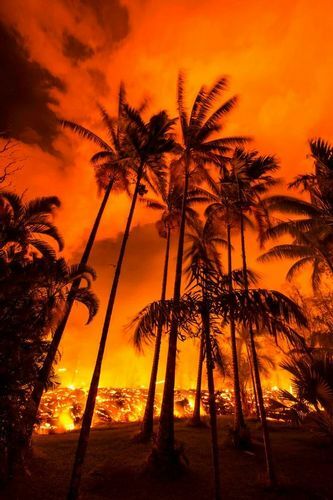 He was hooked to the island style, but what caught his attention was Kilauea. When Puu Oo began to flow in 1983, his Alaska and Utah bases took a back seat. Lewis' work has taken covers and filled pages in Life, Natural History, National Geographic and more. You can find more of his work here: volcanoman.com . He was in Utah, preparing to go sailing in Alaska, when the recent devastation hit Leilani Estates. A few weeks later, he traveled to Hawaii. 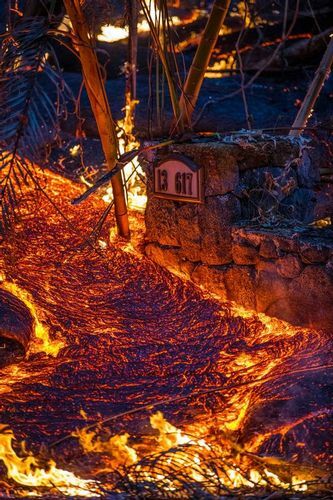 The "Volcanoman" made it to the Big Island to document Pele's path, but also found himself helping those who lost their homes. "The main difference is we have an eruption in a neighborhood affecting people's lives," Lewis said. "This is way more up-close and personal." Several days a week, Lewis will follow the messages of those concerned about their homes and track down their properties. "A lot of what I do is working with specific individuals who contact me to (find out) if their farm or house is still left," he said. He'll often take a helicopter ride to survey the land or find a way to visit the property with permission. He said that he's taken over 12,000 shots in the past weeks, and many of them are of burning houses. But you won't find flaming homes in Lewis' albums, simply out or respect for their owners. "For me, it's about being sensitive," he said. 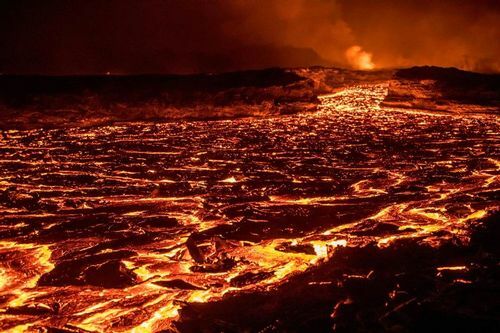 He constantly uploads photos to his Facebook and lava-tracking social media groups, providing updates of the lava's whereabouts and its impacts. The biggest challenge for Lewis has been land access. 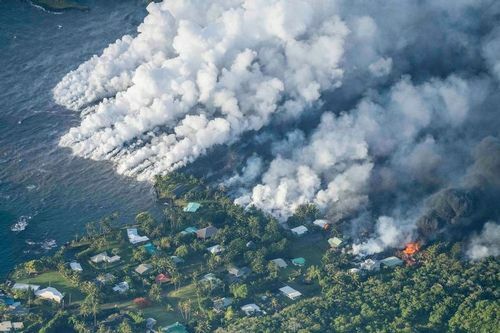 He describes the areas overcome by the lava as very "shut down." He admits it's for a good reason, but says that the possibility of arrest or a hefty fine is there. "I've got to be creative," he said. "But I'll do whatever it takes. 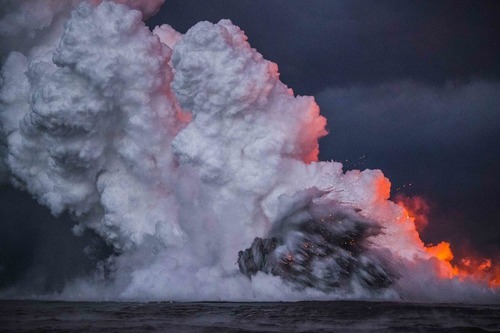 My job is to get volcano photos and get what I can to show people what they need to know." Lewis said that while he hasn't had too many close-calls with lava, safety is always a priority. He says that intuition and experience is key for his sometimes-risky work, and for that reason Lewis finds that traveling through the landscape solo is most convenient. Escape routes are always plotted in case if lava takes a new path, and explosions can happen at a moment's notice. The photographer recalls a time when he was at a beautiful Puu Oo lava ocean entry. He said the moment was surreal and everything seemed fine. But a "little voice" in his head told him it was time to pack up and go. He said as he walked away from his viewpoint, he looked back only to find the area where he stood decimated from an explosion. Lewis' work has an online platform and is currently showcased in galleries across Hawaii. But the biggest chunk of his income was from products sold at Hawaii Volcanoes National Park's Jaggar Museum and the visitor's center, both of which have been closed since early May amid ongoing explosive eruptions. While Lewis looks forward to the park reopening, he also acknowledges that Pele's at work. "It's unbelievable, I'm just completely blessed to be doing what I can," he said. "History is developing before out eyes, it needs to be documented."